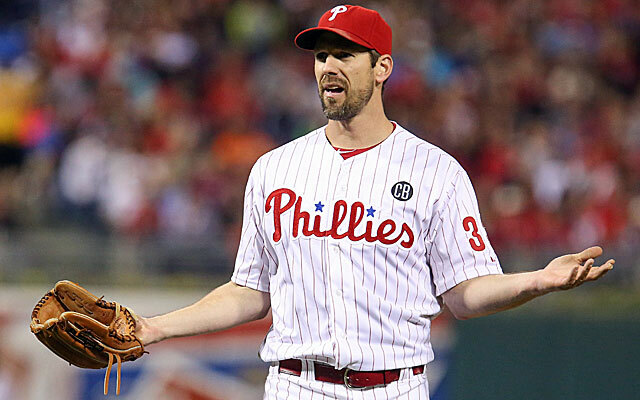 What should the Phillies do by the trade deadline? How about trade everything that isn’t nailed to the ground? The races are so tight right now that a bunch of teams may try to shoot the moon. No better time to take advantage of them! It is an all anarchy episode on The Sully Baseball Daily Podcast. Odrisamer Despaigne, Jon Lester, Neil Walker, Jacoby Ellsbury, Tim Lincecum, Peter Bourjos and Yan Gomes all added to their totals for Who Owns Baseball? This entry was posted in Sully Baseball Daily Podcast and tagged anarchy, Cliff Lee, Marlon Byrd, Philadelphia Phillies, trade deadline. Bookmark the permalink.